Click on the person’s name to see a short bio. Please note that this list changes constantly! Click on a volunteer’s name to see their bio. B., Dora Proofreads archived GH Transcripts, makes wallpaper, posts to Pinterest, etc. S., Marlene Writes DOOL Articles monthly. Boo, who was our friend as well as a kind and super-energentic, talented manager for many years; she passed away in November 2013 and is still sorely missed. Hiren Patel and Sammi Turano, who helped us set up the site. Former volunteers Nadine, Thane, Heather, Rebecca, Linda, Amanda D., and Imran who helped us a lot. Dennis Massey for making our past logo. Marcos Rubinstein, who hosts our page and so much more! Gisele, who helped run the site for many years after Boo left. Thank you to David Warthen for all of his help throughout the years. Leo O., Subha R., J.V., David W., David L,, Barbara H., Karen L., Penny K., Tiffany B., Aisha D., Kevin G., Elaine E., Maria C., Melissa L., and Philippe B. Thanks especially to all our volunteers! Thanks to all the helpful fans who email us and let us know when links are broken and give us helpful information. Thanks to the networks for making great shows! 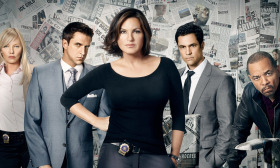 This site is a fan effort and is based on television shows with which we have no affiliation whatsoever. All characters are copyright & solely to the copyright holders. This is a fan site created by the fans for the fans. 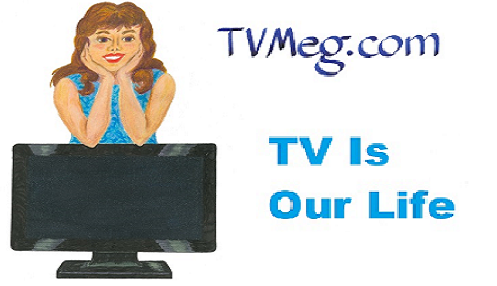 TVMEG.COM is owned by Suzanne Lanoue and The TV MegaSite, Inc. Please always let us know your input.